With tv programmes like Andrew Neil’s ‘posh and posher’ (BBC2 26/1), the public is being fed the myth that a return to grammar schools will restart upward social mobility and is therefore progressive. 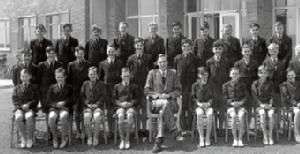 However, the official introduction of comprehensive schools from 1965 was coincident with but not a cause of ending the limited upward mobility that occurred during the post-war period of full employment. Since then there has been only illusory social mobility as non-manual service employment has expanded at the expense of manual labour. This has been presented as professionalising the proletariat but in reality many of these para-professional occupations are being rapidly proletarianised – teachers are a case in point. Bringing back grammar schools would only cement this new social situation since the only mobility remaining for increasing numbers is downward. Rather than educational solutions, economic ones are required.